If someone sincerely wants help and is committed to stop drinking alcohol or doing drugs, there are several options available that cost very little or nothing at all. Yes, most residential treatment centers are very expensive and require that you have good credit and good insurance to attend. However, there are many facilities that offer alternative payment options, payment assistance or sliding-scale fees. It doesn't hurt to ask. Contact the facilities in your area and ask if they have any payment assistant plans for someone who lost their job or has no insurance. You may be surprised. Because these programs are utilized mostly by people who are already in the "system" through agencies such as the Department of Family and Children Services, the county health department or the criminal justice system, state-sponsored programs generally have a long waiting list. Also, because these programs are supported by tax dollars, in times of economic stress, they also can experience cutbacks in funding and restraints on the services they can provide, at the very time the demand for their services are increasing. Alcoholics Anonymous has been around for more than 75 years for a reason. A.A. has helped millions learn how to live life sober while remaining self-supporting through the voluntary donations of its members. If you are committed to staying sober, you can find help and support by attending A.A. meetings, reading the literature and getting a "sponsor" to help you do the 12 steps. Research shows that any recovery program you choose works better if you include mutual-support group participation. Of course, for those who are not spiritually inclined, there are many secular support groups available also. Most of them have no fees or dues. 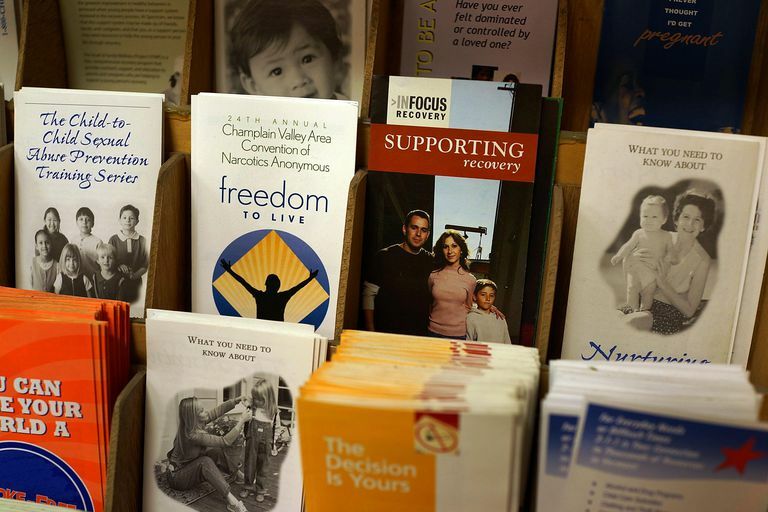 Faith-based outreach programs aimed at alcoholics and drug addicts have been around longer than any professional treatment centers or 12-step programs. For ages, religious organizations have reached out to their communities to help those who are struggling with alcohol and drug abuse. That has not changed. In fact, there are probably more programs than ever available now through faith-based outreach efforts with the increase in drug abuse in the past 40 years. From The Salvation Army to Jews in Recovery to dozens of Christian recovery programs, you can find faith-based alcohol and drug programs in almost every community. Most of these programs never charge you anything. Any alcohol or drug recovery program you have ever heard of—be it 12-step, faith-based, secular, professional or commercial—probably has an active online presence. Also, this Alcoholism / Substance Abuse Forum has been active for more than 17 years. Many people have found the support they needed to remain sober by checking in daily with their forum friends and by helping others.